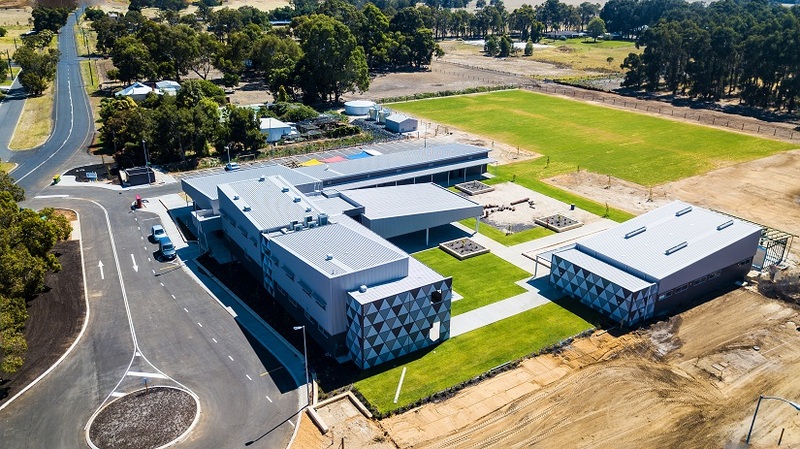 When the South West John Calvin Christian College opened its doors for students and teachers in January 2018, this marked the end of several years of intensive work, where Harley Dykstra was also able to add its multidisciplinary skills to the project, right from the initial search for suitable land through to the final practical completion of the buildings. Harley Dykstra was able to assist in the search for suitable land and undertake the required due-diligence work, followed by securing the planning approval for the development. The securing of a planning approval required extensive reporting and negotiation with the Shire of Capel and a number of key state government agencies. Harley Dykstra’s town planners, surveyors and project manager then also assisted in the coordination of the building and construction phase of the project, to ensure that the school could open its doors for the commencement of the 2018 school year. Notwithstanding a number of physical site and servicing constraints, the school project was delivered on time and very close to budget. The added dimension that also made this a very rewarding project was the significant amount of school community volunteer contribution of materials and labour that also helpful to make this new school a real community project, taking a prominent position at the main roundabout entry into the Capel township.